He has directed over 100 plays for MCC, the Meridian Museum of Art’s mystery dinner theatres, and The Company of Angels at the Temple Performing Arts Center and MLT. The last play he directed for The Company of Angels won the Mississippi Theatre Association’s State Play Festival in Columbus and was chosen to compete in the Southeastern Theatre Conference Play Festival in Louisville, Kentucky. Ronnie has performed in major roles in nine MLT productions over the years. He has served as president and vice president of MTA and has hosted and co-hosted four MTA State Conventions and Play Festivals in Meridian. He has received several local and state theatre awards including MTA’s Cowboy Maloney Award as an outstanding contributor to theatre in Mississippi and the Lifetime Theatre Achievement Award from Mississippi Alliance for Arts Educators in June 2016. He has been involved in several arts organizations in Meridian, including president and stage manager of the Meridian Symphony Orchestra, and president and vice president of the Meridian Museum of Art. He has received several community awards including the Meridian Council for the Arts’ Outstanding Arts Educator. Ronnie believes that Mississippi has some of the best community theatres in the nation and is proud to be associated with one of the best in the state-MLT! Students who took courses in drama study or appreciation scored, on average, 55 points higher on verbal and 26 points higher on math than their non-arts classmates. House Concurrent Resolution 78(As Adopted by House and Senate)A CONCURRENT RESOLUTION COMMEMORATING THE LIFE AND LEGACY OF MERIDIAN'S PERFORMING ARTS LEGEND, JAMES ADAIR "JIMMY" PIGFORD, AND EXPRESSING SYMPATHY TO HIS FAMILY AND MANY FRIENDS UPON HIS PASSING. 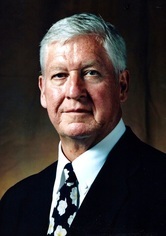 NOW, THEREFORE, BE IT RESOLVED BY THE HOUSE OF REPRESENTATIVES OF THE STATE OF MISSISSIPPI, THE SENATE CONCURRING THEREIN, That we do hereby commemorate the life and legacy of James Adair "Jimmy" Pigford of Meridian, Mississippi, and extend heartfelt sympathy to his family and many friends upon his passing. BE IT FURTHER RESOLVED, That copies of this resolution be furnished to the family of Mr. Jimmy Pigford and to the members of the Capitol Press Corps. The CenterStage production, “Fee, Fi, Fo, Fum,” was presented at The Meridian Little Theatre the week of January 14, 2013. MERIDIAN — “Fee, Fi, Fo, Fum,” the inaugural production of CenterStage, the youth division of Meridian Little Theatre, will be presented four times each day Jan. 14-18 for the children of Meridian and surrounding area schools. There will also be two performances on Saturday, Jan. 19, for the general public. Show times are 9 a.m. and 11 a.m. Reserved seat tickets for these two shows are $15 for adults and $12 for school age children, and are available now at the MLT Box Office. In this popular version of “Jack and the Beanstalk,” the giant is making life pretty miserable for Jack, his mother and the entire kingdom. Jack is even forced to sell his beloved cow, Miss Priss, for some magic beans. Brave Jack climbs up the beanstalk and into the castle, where he fights the giant, and the big, bad Troll. By the end of the special tale the cow is returned, the chicken learns to lay golden eggs and the good life returns to the kingdom. The lively score will have both young and old humming the catchy tunes. The cast features school age students of all ages from Meridian and the surrounding area. The title role of Jack is played by Jackson Palmer. His mother is portrayed by Addison Garrett. Jack’s siblings are Sam Blanton and Angeline Graham. The Giant is Danny Miller, and the Troll is Steven Miller. The Chicken, who hasn’t yet laid a golden egg, is Bianca Clark. Princess Tulip, who is collecting gold to ransom her mother, Good Queen Violet, is played by Lillie Grace Langston. Queen Violet is Chloe Jacob. Attempting to extract a bag of gold for the queen’s ransom are John Alex Nunnery and Joel DeVries, who are the High Sheriff and his Deputy. Village Women are Audrey Sanders, Hannah Cooper, Jade Matfey, Jy’Terria Gates, Kaitlyn Clayton, Kaitlyn Holloway, Kelsey Wilson, Logan Hulvey, Mary Griffin Jackson, and Zion Roberts. Residents of the Giant’s Castle high in the clouds include Chloe McKelvaine as the Housekeeper and Hannah Mae Sowell as the Cook. They are assisted by Kitchen Girls, played by Virginia White, Maci Manning and Emma Grace Alexander. The Cook, Housekeeper and Kitchen Girls are assisted in their food preparations by the Wiggle Waggle Dancers. This groups includes Allison Beard, Annalyssa King, Emma Grace Johnson, Emma Kate Sowell, Emma Watson, Kierstin Lay, LaTia’ Powe, Macy Campbell, Madilynn Stevens, Sha’nya Davis and Summer Stennis. The story of Jack and the Beanstalk would not be complete without a bean seller. Ambreah Waters is the Bean Seller. Assisting the Bean Seller are the Bean Seller Dancers. They are Anne Marie Talley, Ashley Walker, Emilie Byers, Emma Grace Smiley, Hannah Millar, Jordan Faith Jones, Kayli Warren, Marly Archie, Nina Hay, Sara Collier and Zoie McClure. Good Things Dancers, who help Jack with his statement that “good things are bound to happen,” are Anyla Allen, Cameron Jacob, Cristina Montealegre, Elanor Triplett, Isabella McGee, Kiara Malone, Lauren Broome, Mackenlee Snowden, Mallory Claire Leake, Shelby Robison, and Taylor Johnson. Miss Priss, the cow, has her posse of Cowboy Dancers. They are Avante Clark, Eli Lewis, Elijah Smiley, Luke Hay, Michael Tvarkunas, Owen Smith, Paden Avera and Trey Murphy. Tumbling around in the Giant’s kitchen are the Run, Jack Run Tumblers. They are Anne-Leigh Freeman, Atasia Horn, Chandler Hogan, Heidi Warlock, Jalyn Branch, Katie Lank, Lawson Alysse Freeman, Madison Carter, McKinley Maxwell, and Olivia Avera. The production, sponsored by Marty and Linda Davidson, is under the direction of Sidney Covington, David Benson, Jonah Murphy, Melanie Walton, and Carol Sue Wiggins.